The the Bluefin booth, they had a few really cool looking items and lines at San Diego Comic-Con 2014. It’s always fun to see the Lost Planet 2 Toys from Toy Notch, and they’re looking as good as ever. Also on display was the Armarouders line by Don Figueroa, a 1/6 scale Synthetic Test Human by 1000toys and a Mazinkaiser by Aoshima. You can see all of the photos by reading on. 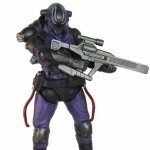 Lost Planet 3 3/4ths Scale Figures Up for Pre-Order! The Lost Planet 3 3/4ths scale figures from Toy Notch are inching closer to reality, now hitting the official pre-order stage. 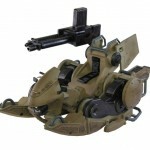 Site sponsor The ToySource has put them up with official images and pricing. 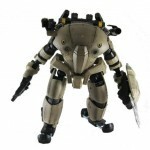 All of the individual figures are going for $20.99 USD, and the GTF-13M Evax mech suit is listed at $79.99. A little pricier than mass release items from Hasbro and Mattel, but this is a boutique line which will have smaller print runs and limited availability. Check out all the images after the break, and head on over to The ToySource to grab your pre-orders. Site sponsor theToySource is at G.I. Joecon 2014 this weekend, and they’ve sent over some quick shots of their booth. On display were the Lost Planet 3.75 Inch figure line from Toy Notch, seen again in full color as it nears it’s release date. Also present were 3rd Party Transformers Citizen Stack (not Ultra Magnus) and Soundmixer (not Blaster). Check out the shots and a note from theToySource after the break! Toy Notch has updated again with new images from their Lost Planet 3 3/4th scale line. This time, we get to see Wave 1.5 which features a larger vehicle, the Hardballer. The figure is due out in October/November 2014. Check out the shots after the break! The folks over at Toy Notch have released the first official images of their upcoming Lost Planet 3 3/4th scale figures and vehicles. Lost Planet 2014 Wave 1 will consist of Colonel Caleb Isenberg, EX-Nevec, Jim Peyton, Jungle Pirate, Mercenary, Vagabundo, and Waysider Femme. There will also be a GTF-13M Evax vehicle. These figures first showed up as protos during SDCC 2013, and then again at Toy Fair 2014 at the Bluefin / Tamashii booth. They are slated for a June / July release. How much and through who is still unknown. Check out the pics after the break! Next up in our Toy Fair Redux set of posts is a round of pics from the Tamashii booth – Toy Notch Lost Planet 3.75 Inch figures and vehicles. These are officially licensed by Capcom and are being seen in full color for the first time. We had some shots in resin form back at SDCC 2013, and they looked great then too. Check out the painted samples and let us know what you think. Hopefully we can all get our hands on them soon. We had a bit of confusion here as well. 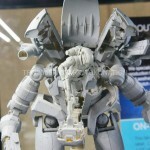 Bluefin had on display the Toy Notch Lots Planet 1/18 Scale Toys as well (they are distributing for Toy Notch). We apologize for any inconvenience. We’ve updated the files to reflect this change. Wow, talk about an unexpected and pleasant surprise! 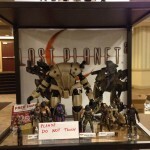 Take a look at the prototypes for these 3.75″ scale Lost Planet 2 toys coming from new toy company Toy Notch. Join the discussion to let us know what you think.